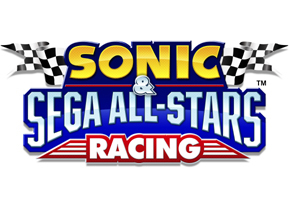 As there have been ongoing debates about why one character was chosen over another for Sonic & Sega All-Stars Racing, in other circles there has been criticism that ASR is not wholly reflective of Sega’s rich history in video games as a whole. Most notably, animosity settles for some in the game so far snubbing most of the game’s storied racing franchises, items like Daytona USA, Super GT, and even OutRun, which Sumo Digitial recreated for XBOX and PS2 among other platforms, and later online for XBOX 360 and PS3. On the topic of ‘where are the Daytona/OutRun/Hang-On/SCUD Race/Virtua Racing/*insert SEGA racing game here* tracks!!!!???!! !101011010’ I think you’ve somewhat missed the point. This is a character driven racing game, not a compilation of SEGA driving games. If/when we get to do Sega Racing Megamix, then I’ll happily be visiting all those past SEGA racing games, taking the tracks up to HD standard and sorting all manner of interesting car licensing issues. Here however, we’re doing bright colourful characters on bright happy environments. Well mostly. We’re also making this game just as much for players who may not know any of the SEGA cast, so we’ve gone for a nice diverse and visually interesting cast and set of tracks. Sure, when it comes to the handling model, we’ve tried to capture the joy of speed and drifting, which is the where we’ve tried to pick up the SEGA arcade feel. Also recognise that we have absolutely tried to squeeze as much fan service in as we can, I think we’ve been pretty thorough in this – as well as being clear with the directions we’ve taken out here in the wilds of the forums. Yep we don’t have every character in from every SEGA game ever, but then we were never going to. I think we’ve chosen some rather brave characters personally, especially some of the very old school ones. We thank Deven Gallo for sending this in via our News Tips system. If you have a story to share, be sure to share it with us by clicking News Tips at the top of every page.